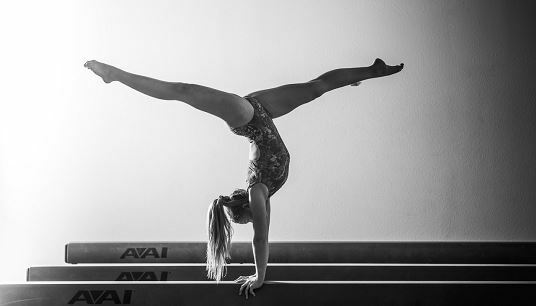 The recreational, artistic gymnastics in Brazeau is run by the BGG, which is monitored and overseen by the Canadian Gymnastics and Alberta Gymnastics Federation. The program in Brazeau caters for anyone that is six years old or up. The plan for the Artistic Gymnastics is a Skill Development Program created by the Canada Gymnastics. The program is structured to enable participants to progress step-by-step, via continuous learning, focusing on skill progressions and via positive feedback and encouragement as well as recognition awards. The three-levelled program includes silver, gold and bronze level badges and each of the levels are broken down into twelve level badges that require the completion of 20 sills. The primary goal of the program is to provide all participants with the opportunity to transition at their own pace through the different levels. Demonstration and performance groups have the chance to shine internationally, provincially and locally at non-competitive events. The program aims to develop fitness in a fun environment and at the same time acquire all the fitness skills required. Canadian Sport for Life recognised sports such as gymnastics is an integral part of improving movement skills and is also the building blocks to physical literacy for children. Just like writing and reading helps children, so does the program in a movement that is essential for developing physical literacy. It is vital for successful and confident participation in an active and healthy lifestyle as well as the long-term development of an athlete. All the coaches, part of the Artistic Gymnastic program is NCCP certified and have had additional First Aid training. During the year all coaches also participate in courses such as the Professional Development programs, which includes the making ethical decisions. This further enhances their training in several ways. The training offered to coaches to increase safety practices. The schedule requires all coaches to spend a few hours a week with gymnasts to assist them in building their skills as well as working on their professional careers. Jessie Safranovich, the head coach has been involved with sports for many years and grew up with gymnastics from a young age, as the daughter of a gymnastics judge and coach. Safronovich was a competitive gymnast herself and became the Alberta Provincial Champion in 1998. She has over ten years of experience as a judge and coach in gymnastics and has a passion for sports. Her primary focus is on teaching, developing and assisting young athletes to reach their ultimate goal in gymnastics. Gymnastics is a sport that anyone and everyone can enjoy. It provides all individual with the perfect opportunity to challenge themselves to explore a variety of movement forms in the most creative and fun ways. The Alberta Gymnastics Federation recently announced that the coaches and gymnasts would participate in the Canada Winter Games in 2019, which showcases over 19 sports and is attended by more than 100,000 spectators.